Introducing the boys and girls who will be pacing you on 9th December 2018 - your official #SCSM2018 Pacers from Running Department! 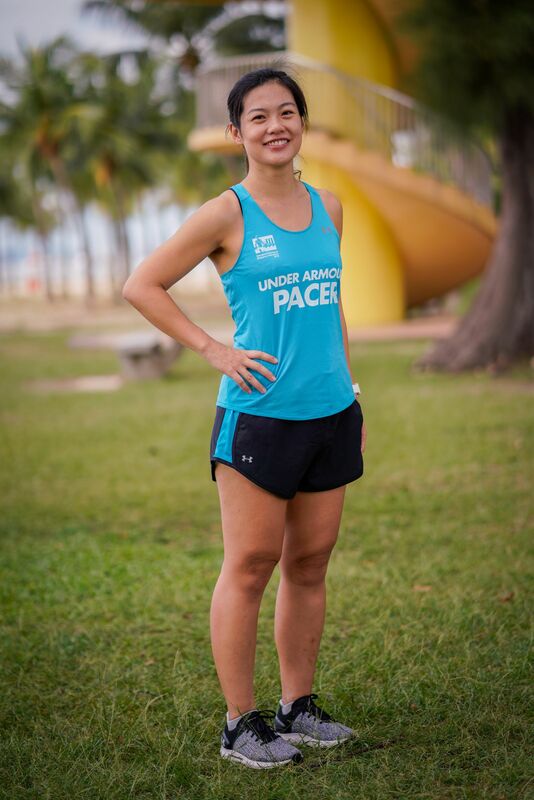 Click on their profiles to find out more about them and remember to stay tuned for updates on our website for more information on how you can find our pacers on race day! Managing Director of Japanese construction company. Pacers of SCSM2011 helped me achieving PB. Was born in Tokushima, Japan and have played baseball and tennis school days. Moved to Singapore in 2005 on business and have been traveling in ASEAN almost every week. Decided to challenge SCSM2009 when happened to see runners of SCSM2008 during softball competition in Kallang field. Started training 2 months before SCSM2009 and still remember my first running pace of 3km/20min... Ran, ran, ran a lot since then, and participated about 20 marathons, achieved podiums and sub-3, enjoyed run in fancy dress. 2014-2016, joined SCSM as pacer and came back this year! Your training will not betray you. I will like to help others to reach their goal! Hi! I am Andy! I started actively running in 2016 to loose some weight! Running became part of my life as I have lost tremendous kg within one year. Now I am running daily to keep fit and hope to achieve my marathon results with my daily training. A run a day keeps your stress away! 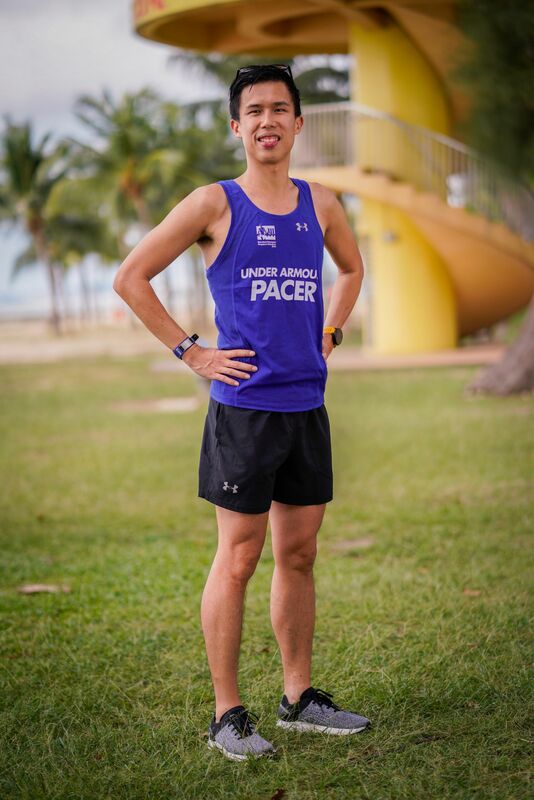 I want to help fellow runners achieve their running goals, the same way pacers helped me when I first started running. 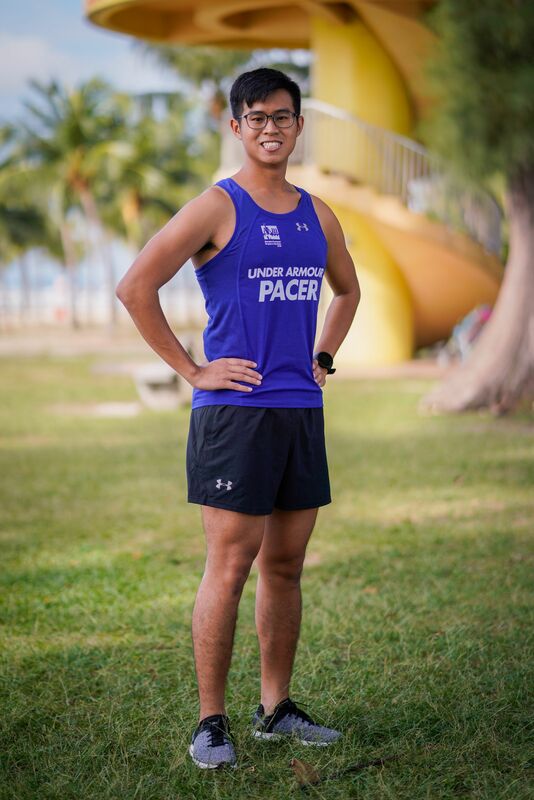 I started running before enlisting with the aim of training for IPPT and to boost my fitness for NS. But as I continued, I found growing enjoyment from it, and it eventually went on to become a part of my lifestyle. My first race was the Army Half Marathon 10km event, where I ran for my unit. However, due to the sudden increase in intensity and overtraining, I suffered from shin splints and it greatly affected my training and race performance. 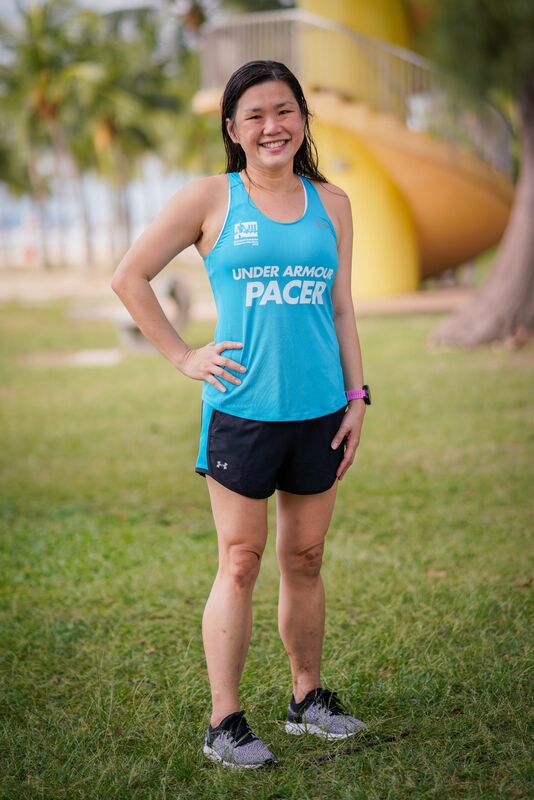 My first full marathon was none other than the Standard Chartered Singapore Marathon. While training for this, a friend of mine introduced me to Running Department and their pacer-led training runs. 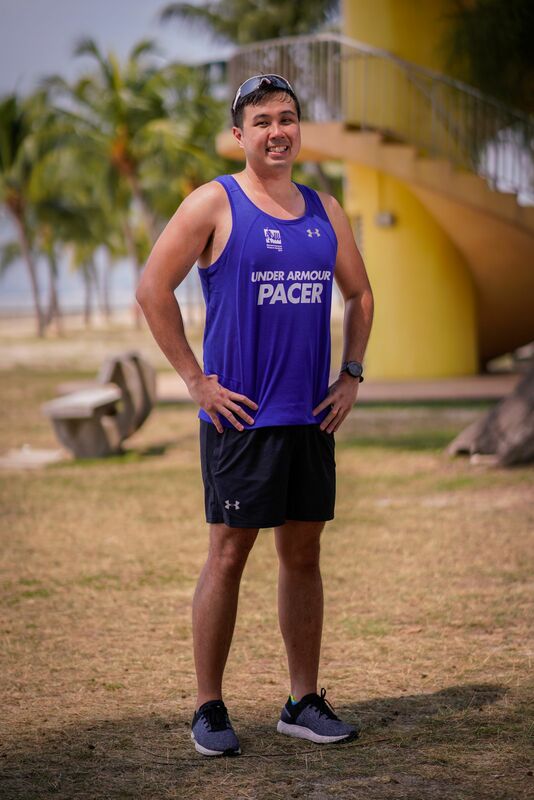 Through these runs and various interactions with the very experienced pacers, I gained a wealth of knowledge that really helped shape the way I trained subsequently. More importantly, the pacers were also extremely positive and encouraging, creating an environment with purely good vibes which made even the longer runs feel enjoyable! 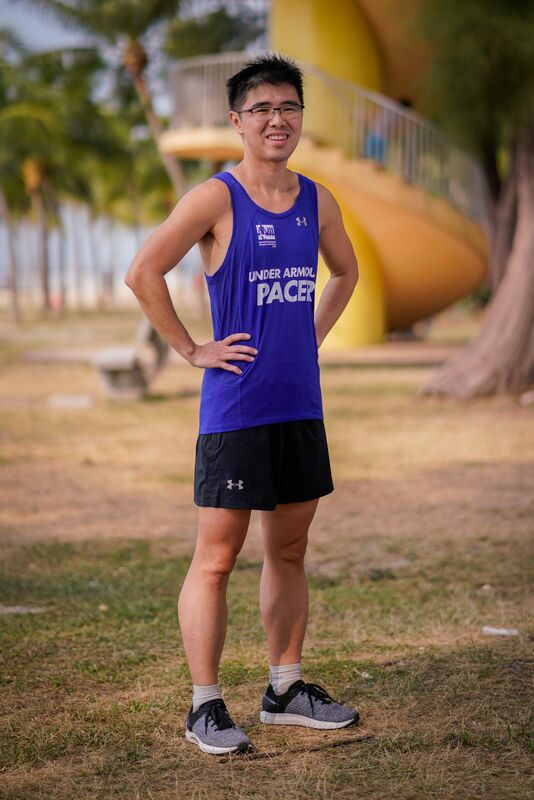 Together, the pacers played a large role in motivating me to push harder in training and on race day to surpass my goal eventually. 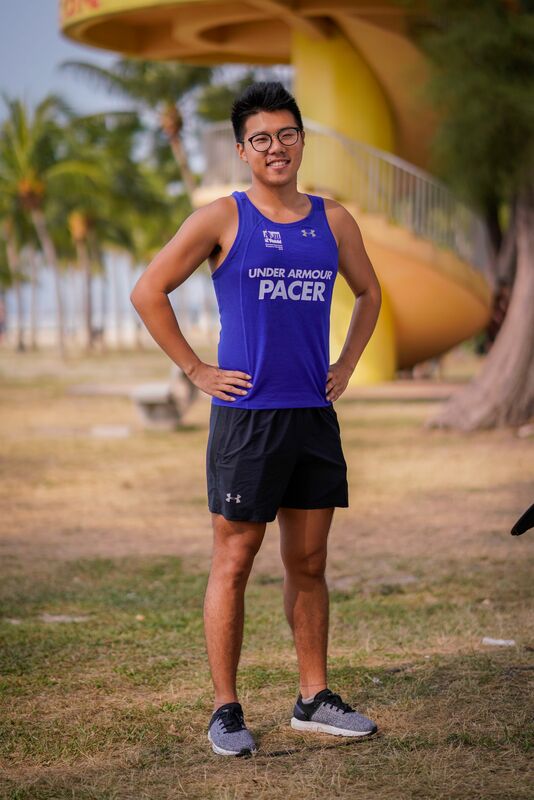 I want to be a pacer to inspire other runners the same way, and to help them to achieve their running goals. 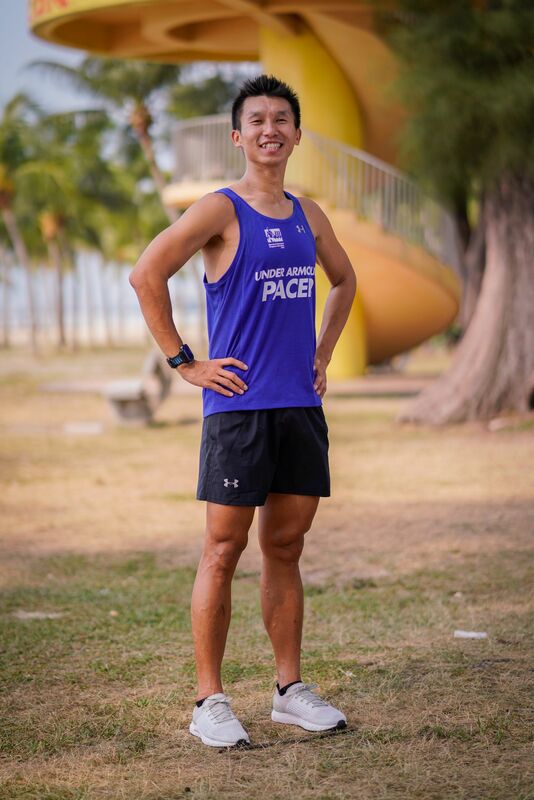 I aim to connect with younger runners who are taking their first steps into distance running and help develop their interest in running while ensuring that they do not make the same mistakes as I had. 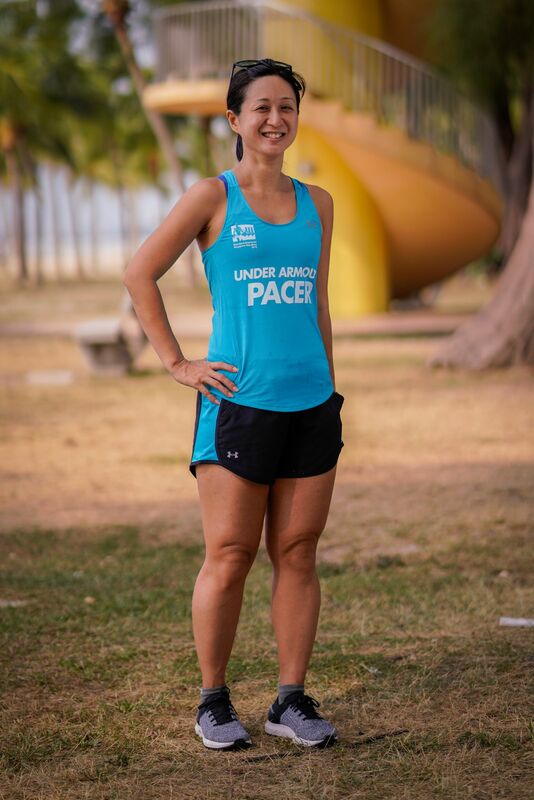 Pacers helped me to get to where I am now, it is my wish to give back to the running community by pacing as well! SCMS (now SCSM) was my first half marathon back in 2007, so it will always be a special race for me. I started pacing in races when my running group in Seattle approached me to help pace a local race in 2014. 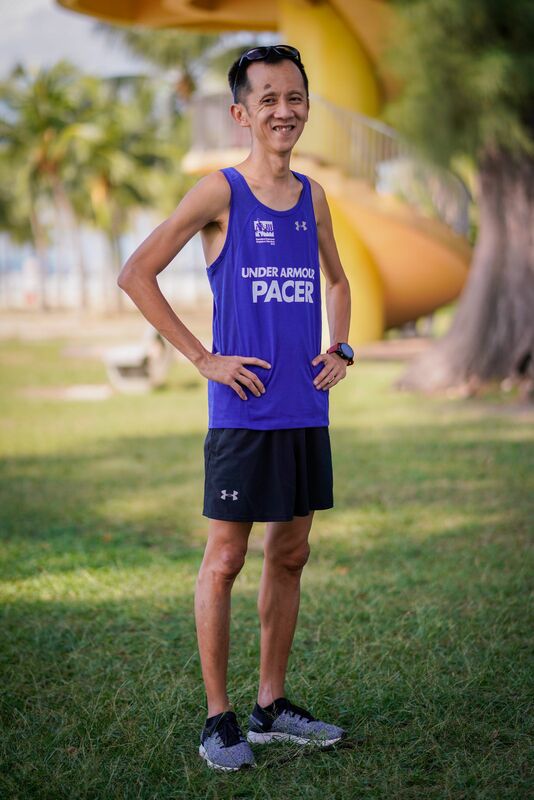 Fast-forward to now, I have come to enjoy the entire pacer experience, from the training runs to race day. In particular, I have come to appreciate the camaraderie that is built with the runners who join us for our weekly training runs. Helping them and others achieve their goal timing on race day is simply the cherry on the cake. Hello! 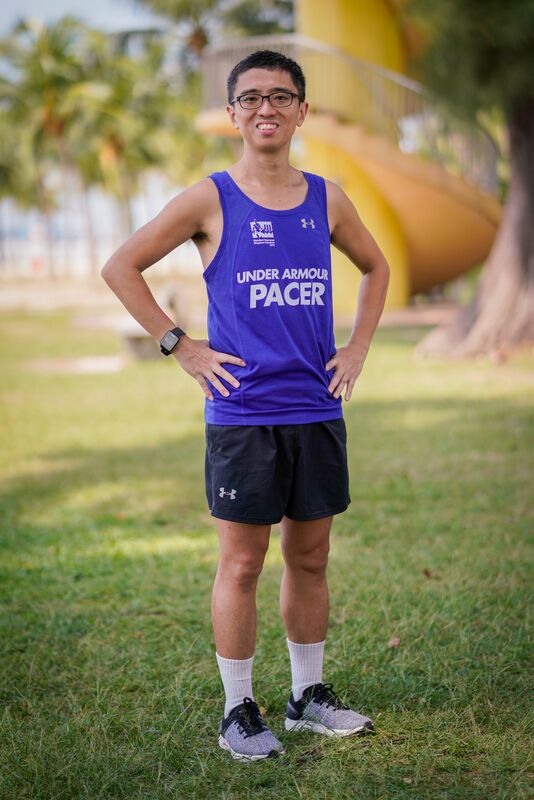 I am Zhihao and I am part of the 4 hours pacer group for full marathon. I am currently a student teacher in my 2nd year, pursuing post graduate diploma in education. I specialise in Physical Edcuation and will most likely be teaching Primary school in the future. The reason I want to pace is to give back to the running community and running department as they guided me very well for SCSM 2017. SCSM 2017 was my 2nd marathon and I improved by more than 1 hour as compared to my first SCSM in 2011. The satisfactory you get when you train hard, improve and reach your goal is extraordinary! Together with my team, we will assist the public to achieve their goals. I hope that all the public following us will feel that satisfactory that I felt in SCSM 2017. All things are difficult before they are easy! Let's achieve the impossible together. I have been running competitively since secondary school. 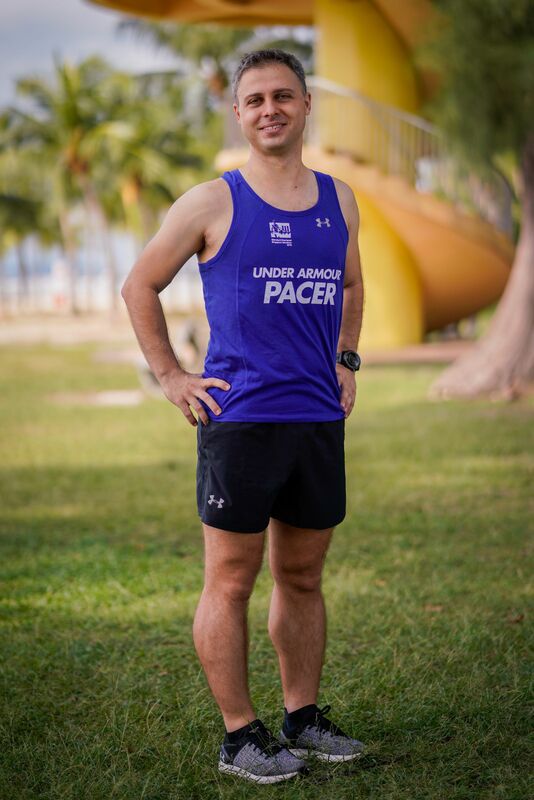 Back in the army, I also represent my unit, for cross – country and marathons. Running has been an integral part of my life because most sports require speed and endurance. Moreover, running is not that time consuming nor an expensive sport because it can bring you a healthy lifestyle and you just need proper running shoes to start up your gear. So, why not? It’s definitely worth it. 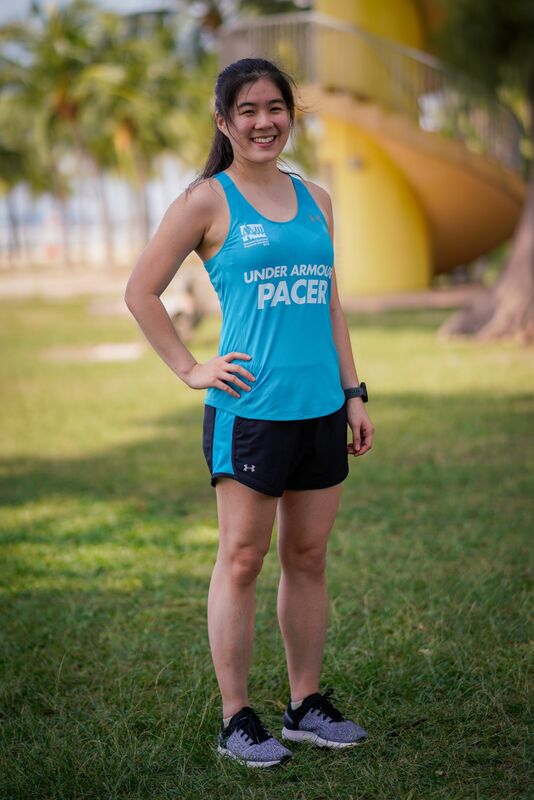 By being part of the pacer group, I’m able to inspire and share my past running experiences with others and to help them achieve their goals! It's not how fast you run but it's how you finish the race. I’ve completed 11 marathons till date. Simply because running is liberating! It brings me happiness and has rewarded me with many positive friendships, accomplishments, experience and memories. The truth is, the more I put into running, the more it gives back. This is my 4th time pacing a full marathon and I look forward to meeting the participants. In the races that I have taken part in the past, the atmosphere the group of pacers brings as they encourage and cheer the runners on gives that extra push for the runners to achieve their running goals. It will always be a wonderful opportunity to be able to give back to the running community in this manner! I am a Christian, married to a wonderful wife and father to a beautiful baby. A systems analyst who loves developing applications to make processes efficient. 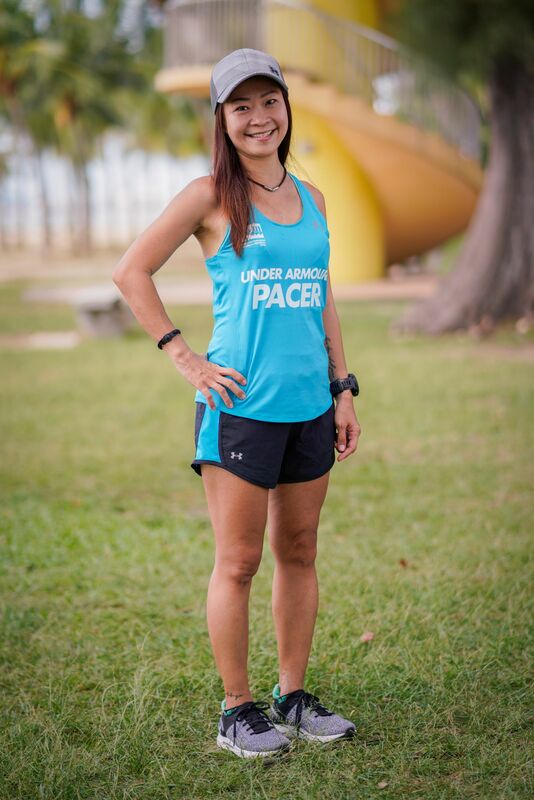 A runner who loves running and helping this community grow! Running is hard and nothing brings more joy to a runner than setting a personal record. 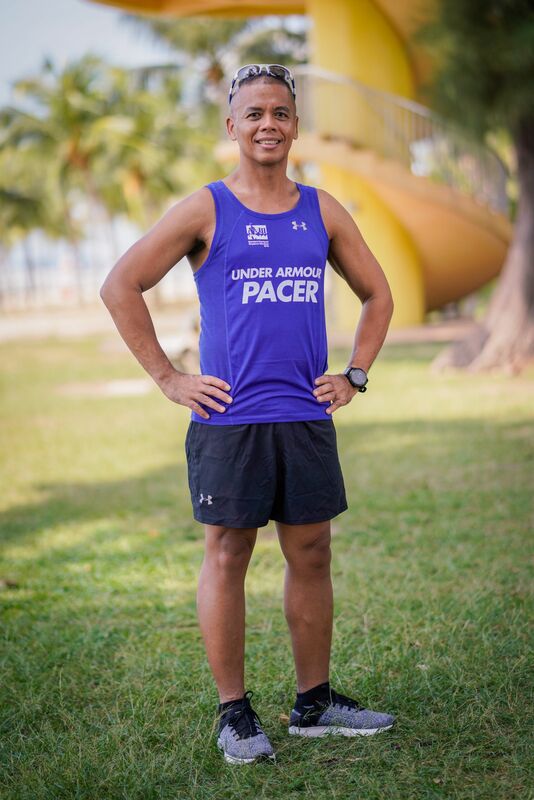 Having said that, I hope that as a pacer I can help fellow runners to achieve their personal goals. So on race day, follow our balloons and let's do this together. I am more of a running enthusiast per se who enjoy running and hoping to be able to continue to run long-term. Always believe in your race preparations. You've got this. I used to suffer from knee pain during running and thought that I will never be able to run a marathon. 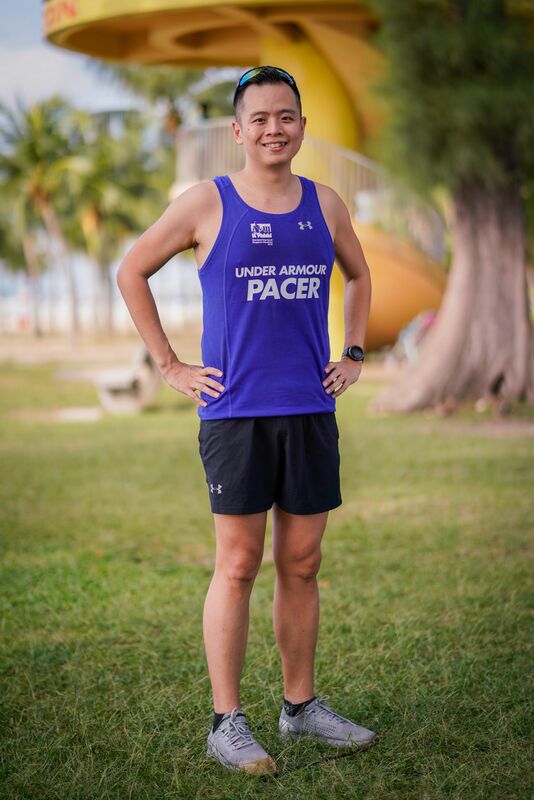 I chanced upon Chi-running and minimalist running in 2012 and started to relearn running. I realised you dun have to endure running but instead enjoy running by having good running form. Now I dun suffer from knee pain anymore and I hope to spread the joy and fun of running to more runners! Running is meant to be enjoyed, not endured. Used to work 18-hours a day, 7x24. Started running to get away from work. Ran solo and for timing for most of first 2 years. Solo runs become group runs upon joining Running Department and now running is to keep healthy and feel good with friends. I like to help others to achieve their target. Born and bred in Germany, I call Singapore home since 2013. 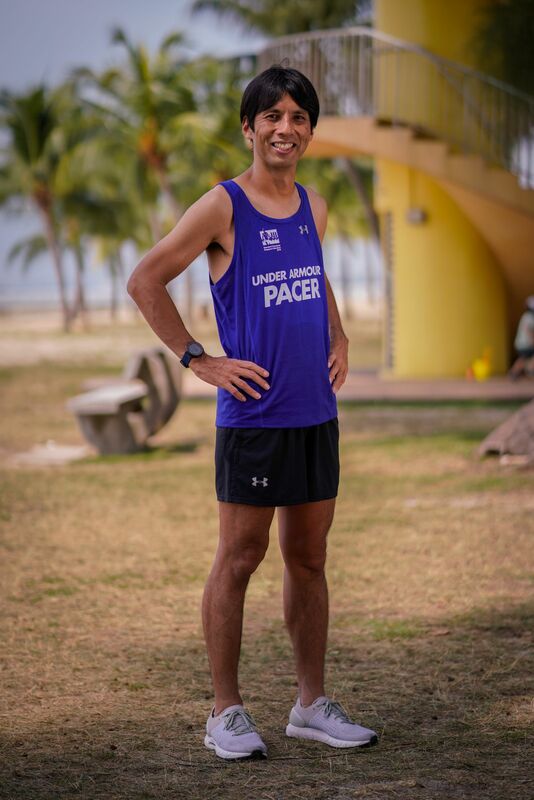 Outdoor activities have always been part of my life and after playing football for over 18 years I found my passion for running five years ago and I am trying to compete regularly, mainly in ultra trail races. For my training I mainly enjoy nature and runcommutes from work. In the last years I have preferably joined ultra trail events which are a great way to enjoy nature and mountains. Similar to pacing those races are all about helping each other. 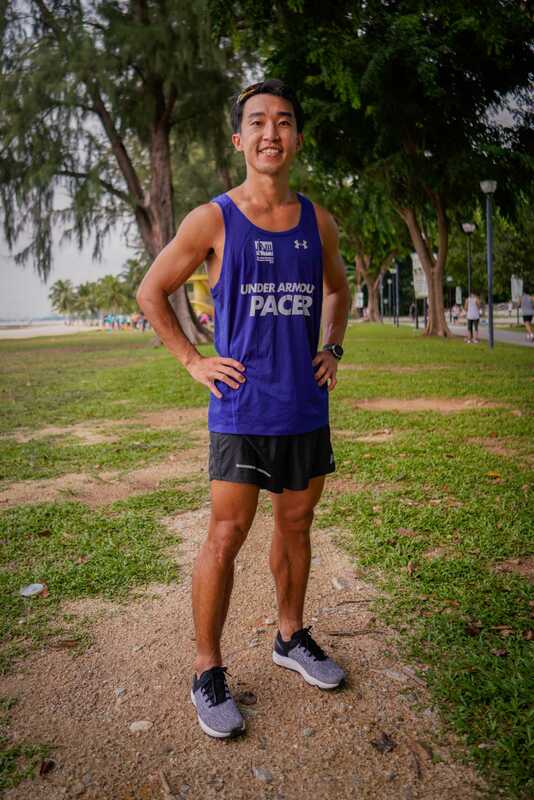 Hence I strongly believe that running is not all about competing and to date I always encourage my friends and colleagues to do the first step to start exercising and to join me for running events. 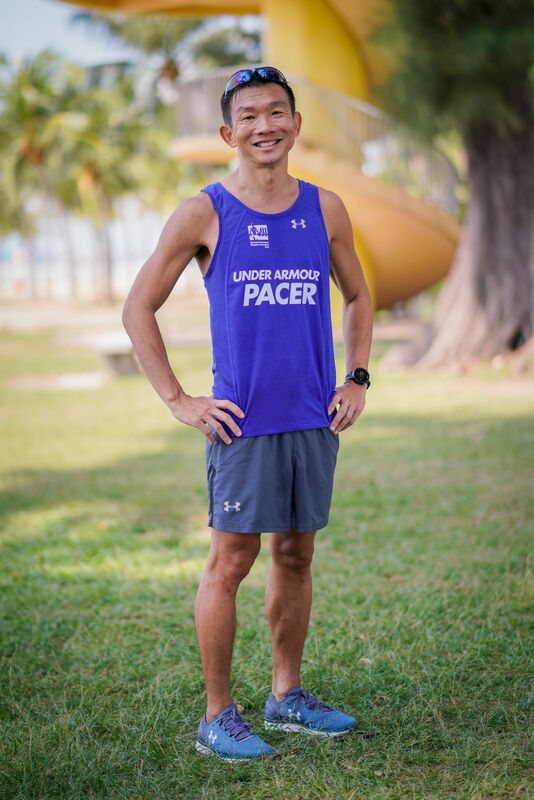 This year’s Singapore Marathon will be my fourth time being a SCMS Pacer and I am looking forward to be part of the training journey leading up to race day and I hope that I can encourage and motivate you along the way to finish strong. No goal or dream is too big. It just takes the first step. I start running after completing a 10 km race. I enjoy the race and training. Each time I go race I will set a target to achieve that. After running for quite sometime I would like to help others fulfill their dreams. To help runners achieve their goals and build a bigger running community. Organising running events are part of my career, these gave me a sense of passion and achievement in running the events and races. I'm grateful to given the opportunity to contribute, and help runners achieve their personal best. Like the marathon, life can sometimes be difficult, challenging, however if you believe in your dreams and never ever give up, things will turn out for the best. 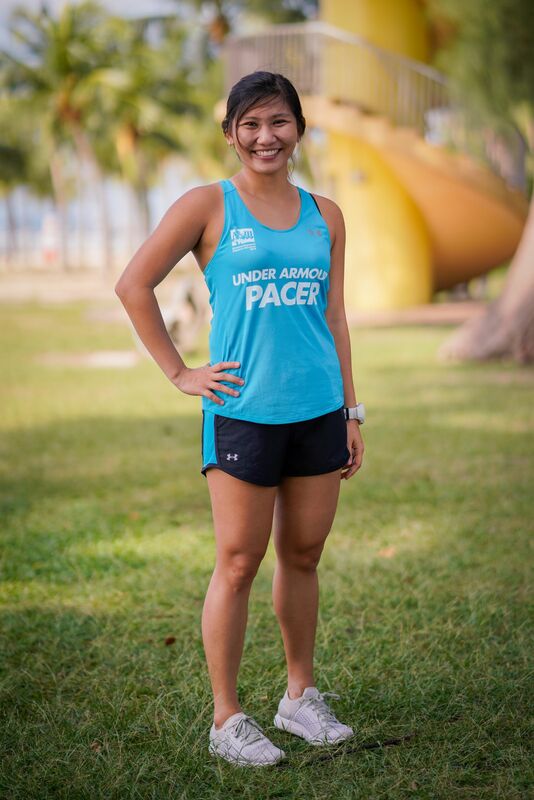 I hope to share my experience and running tips to inspire more people into running and have healthier lifestyles. Running is a sport that is almost ͞cost free͟ and only time and effort is needed to make it work. 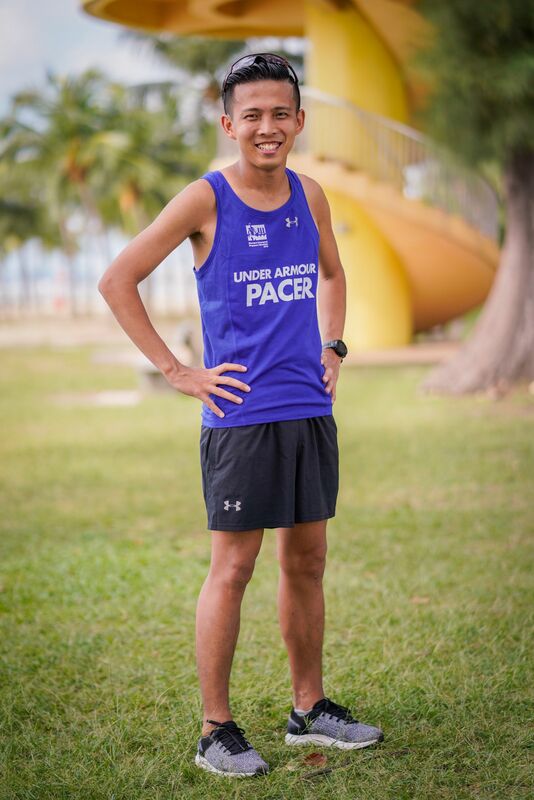 Most importantly, as a pacer, I will be able to encourage and boost the confidence of those who run with me. With constant practice and determination, anyone is able to compete in marathon and make it to the finishing line. I started serious running only less than 8 years ago and it was by chance that I joined Running Department to train regularly. 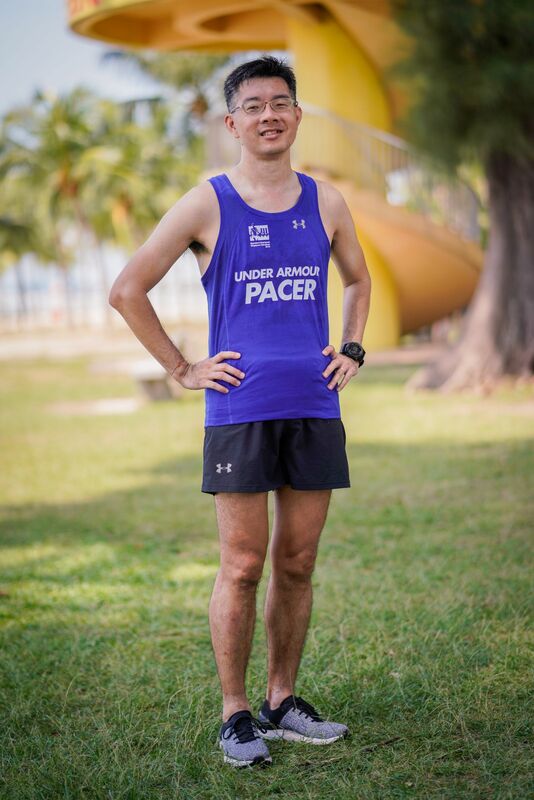 Since then, my passion for running has grown and have been invited to join the team as a pacer. This sport has opened my eyes to a totally different perspective in my life. Strange you may ask but this sport has trained me to have good self-discipline and strengthen my determination to achieve. No one is too old or too late to start any sport! Don’t give up, keep going, you will achieve! To give back to the running community! - The joy and satisfaction to be a part of someone’s journey in achieving their personal best / target timing is no way there the same of me achieving my own personal best. I always love to see the like-minded people coming to train and run together, sharing the energy and passion we all have for running. This will be my first time pacing for SCSM, and also a big challenge for me to go the distance. A hyperactive bunny who secretly wish to workout every single day but have also understood that resting is also part of training. Someone who loves setting her footprints on new places and of different climates through running, loves nature; of sunsets and sunrises. 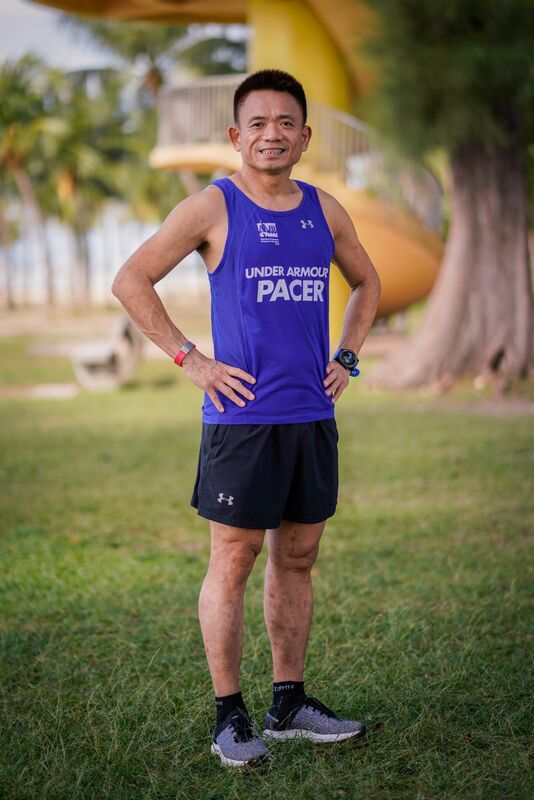 I’m 50 years old, running make me feel younger and keep me in good health. I have forgotten when I last fall sick. When I started running, I chased best finishing time within my capacity. 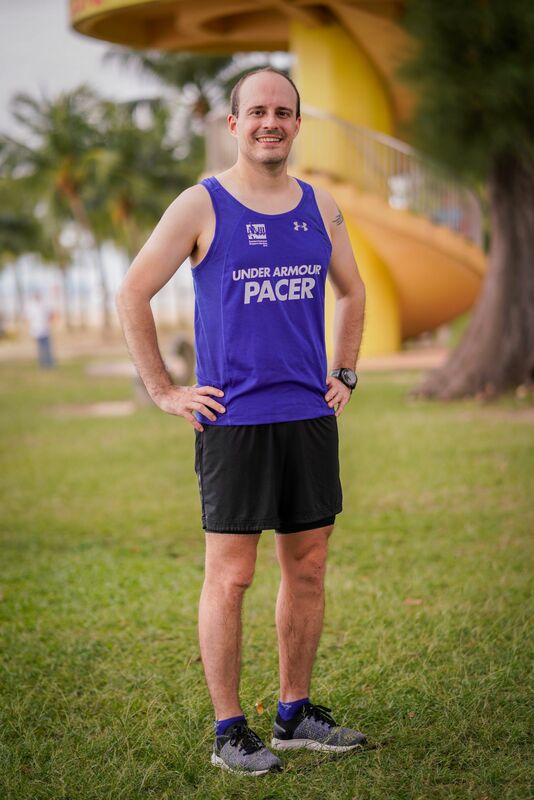 When I race, although I did not follow pacers but I used them as a guide, I’m always in front of them and hearing their voices spur me to press on. In a way, they help me. In return, I hope to help those runners who are like me going for their target time. Conquer the distance before you conquer the time. My main motivation to be a SCSM Pacer is to give back to the running community. 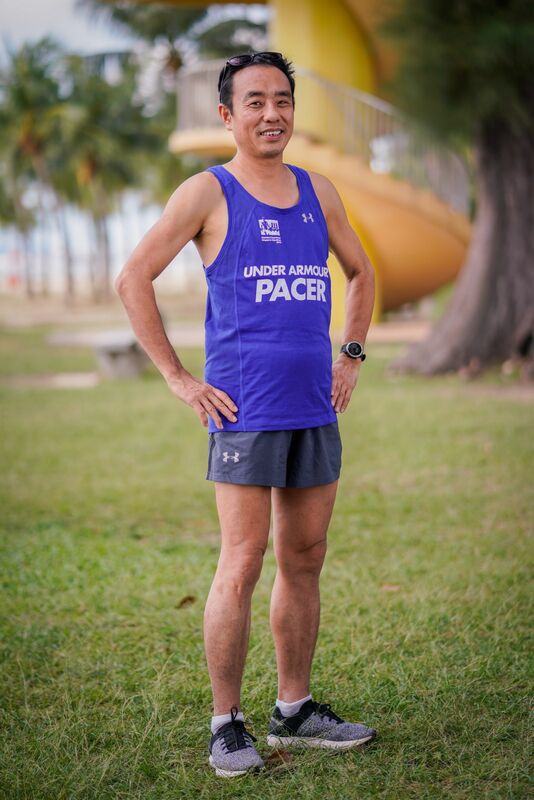 Just as I have achieved my personal best timing by following pacer groups, I would like to be able to lead fellow like-minded runners to achieving their best. I hope to play a significant part on your path to glory! Running helps me to relieve mental stress. It helped to cure the headaches and body aches at work to a certain extent. I got to meet more like-minded runners in the recent years. Through their healthy influence, I strive to complete the races with a better timing. Start slow, maintain and finish the marathon strong! 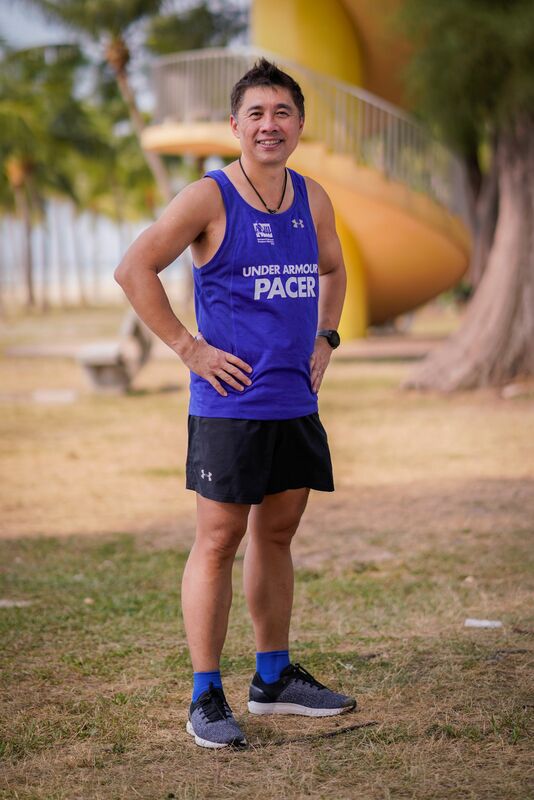 I received lots of help and encouragement from Running Dept's pacers when I did my first marathon. It's my time now to keep those good vibes going and return back to the community! I love running! It is my meditation, also to keep fit and stay healthy. 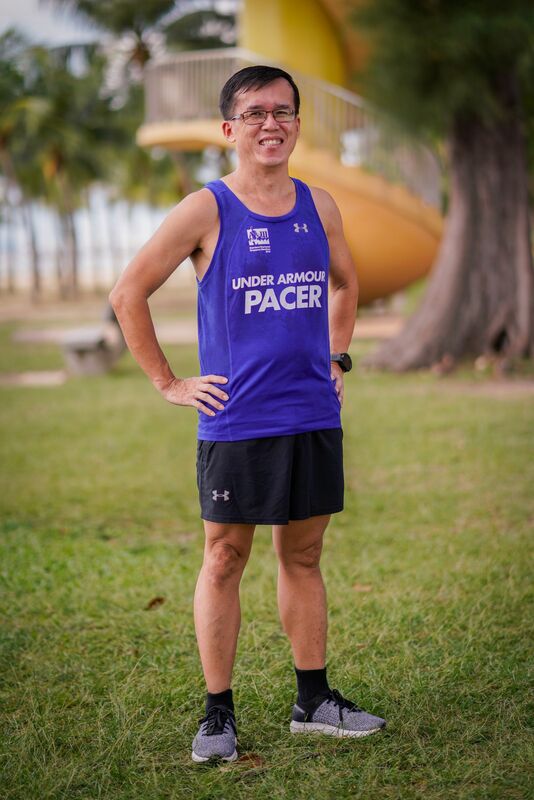 I like to pace and help runners achieve their running goals, the same way as I am motivated by Running Department's like-minded runners when I first started running. If it excites and scares you at the same time, that means you should probably do it. But be patient and learn to trust the timing of your life. Although I run a business and that’s still very much a full-time job, I have greater control of my time. So, I get to spend time with my daughter, be involved in church activities, meet up with friends and family, do things I enjoy like running, and schedule work around the things that are important to me. Most of the time, all I need are my mobile and laptop, and work can be done anywhere, anytime. This lifestyle has been a real blessing and I hope to be able to spend time doing more for others as well. Cos' you guys are hot, hotter than the heat! If you are not willing to accept the fact that crazy shi* is going to happen on your way from the start to the finish, don’t bother starting. i hope to be able to share that crazy experience with my fellow runners from the start to the finish with mega smiles on our faces and fists in the air. Woohoo! If you take shortcuts, you get cut short. 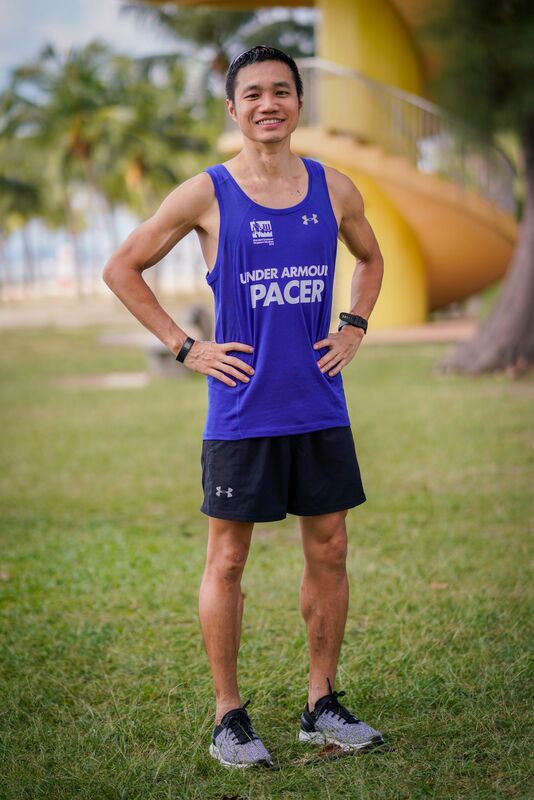 It's my personal challenge to pace for a full marathon, and a privilege to be able to make a difference by running and cheering alongside participants with a targeted PB timing to achieve in a IAAF Gold Label race. I fell in love with running when i was 16 yo and i have been running both competitively and leisurely since. I realized with each run, i become less stressed, my mental state becomes clearer&stronger and my overall fitness also improves. Running prepares me well in the face of life's challenges, because its teaches me that its mostly mind over matter. Running also allows me to cross paths and develop close friendships with many like-minded individuals who enjoy the same sport. What great benefits running brings to my life! This is my third time pacing in a race (but 1st for 42km! ), and i am really happy and excited to be part of SCSM 2018. While every race is a different experience (especially for marathons! ), i certainly look forward to forge new memories with fellow runners both during trainings and on race day. It might not be an easy journey but i am sure it will be fulfilling one nonetheless! 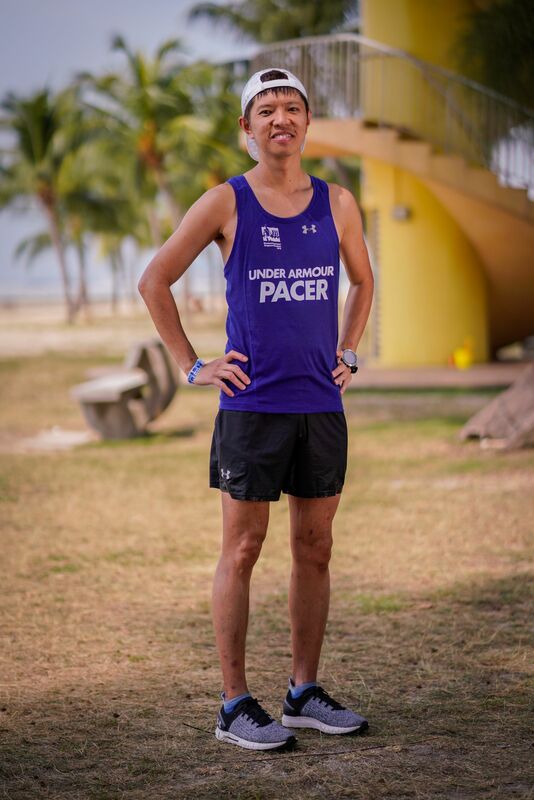 After being motivated by pacers to complete the races with personal best timing, it is now time for me to contribute back to the running community and help fellow runners to achieve the same. I started running in year 2004 with just a simple goal to collect finisher medal of each race. Till date, I have collected about 50 finisher medals and am still looking to increase the collection count. I have always wanted to participate in running related activities other than just running itself. 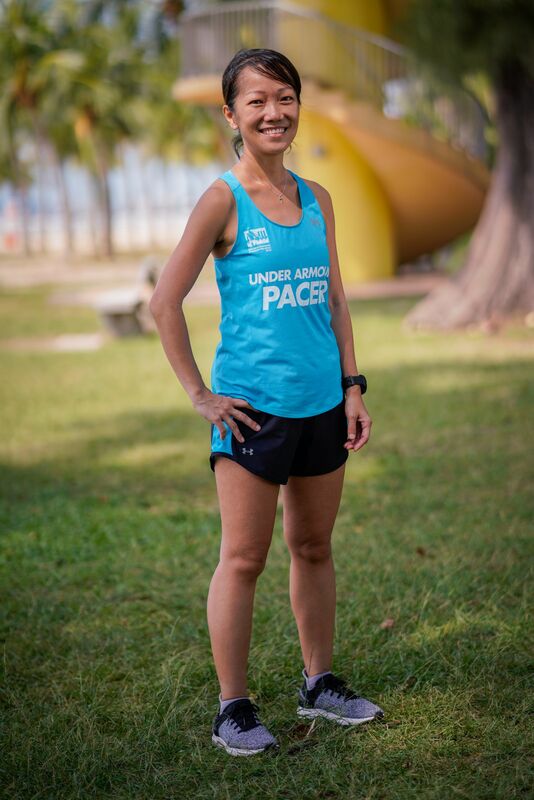 Running Department has given me the opportunity to give back to the running community as a pacer. 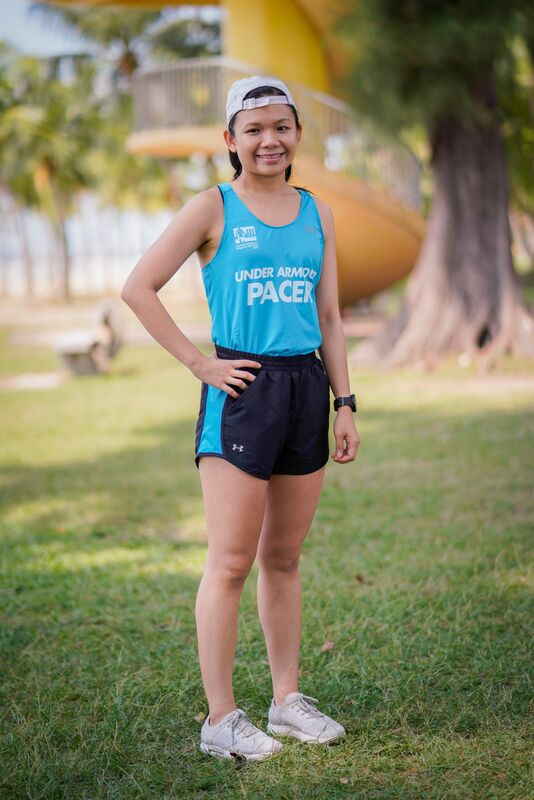 Running as a pacer is totally a different experience as compared to running for a race. Also, pacing for each race is always different as there are many external factors to consider during the pacing (e.g. : environment, weather, route, runners and their safety). Always looking forward to each pacing project as there will be new friends, knowledge and experience gained to better prepare myself for the next pacing project. Never wear new running attire/gear on race day. Because I'm a fan of SCSM. One of my favourite quote: "If you want to go far, go together". 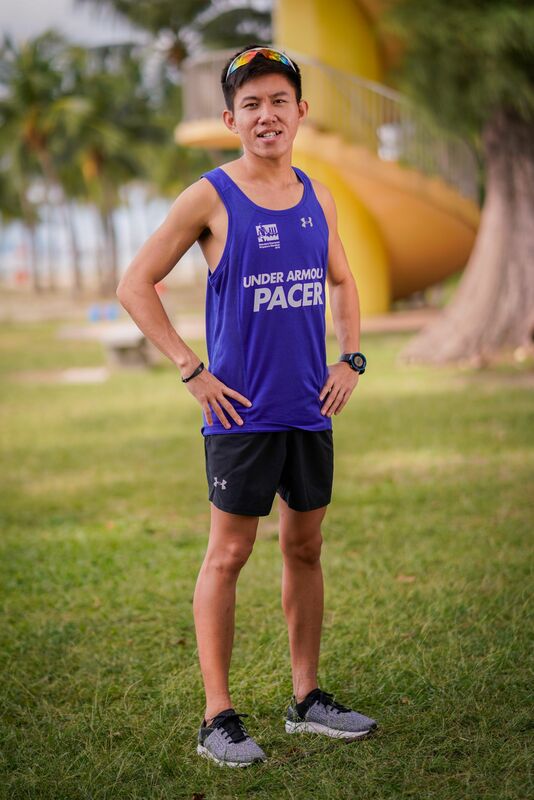 Which inspires me to be a pacer to run together with fellow runners and motive each other to achieve their running goals. Don't just run the race; take pleasure in being in it. Look around, Smile and Run. Running is a way to keep fit in my busy schedule and setting time aside must sure that there time for exercise. 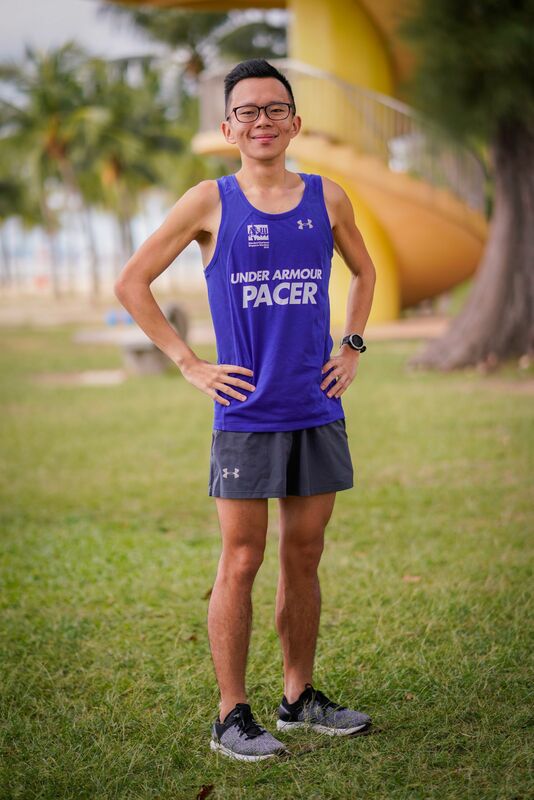 I am just an average runner, who always draw good vibes from people who are stronger. I hope I can pass the energy to the people who dare to take the challenge of marathon. That is because I know there is pain to experience and joy to uncover. Hello, I'm Melanie. Just another person who likes spending her free time running haha. Hearsay I don't hydrate while running, hence the Camel nickname, but I actually do. Happy to pace again for 5H30 and be paced! Give back to the running community. Who conned you into running? Thank that person. I'm an ordinary person trying to be extraordinary. It is the biggest running event of the year! 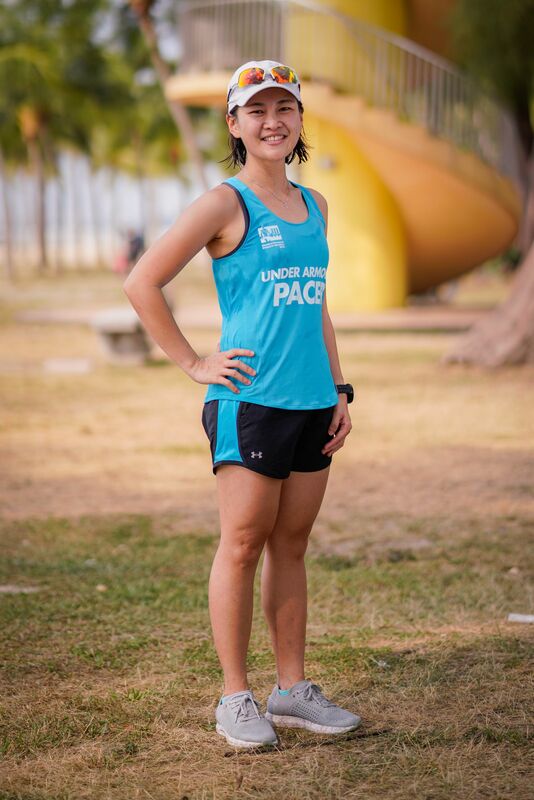 A spare-time triathlete who enjoys endurance sports. This is a bucket list item for me for 2018- to pace a full marathon. 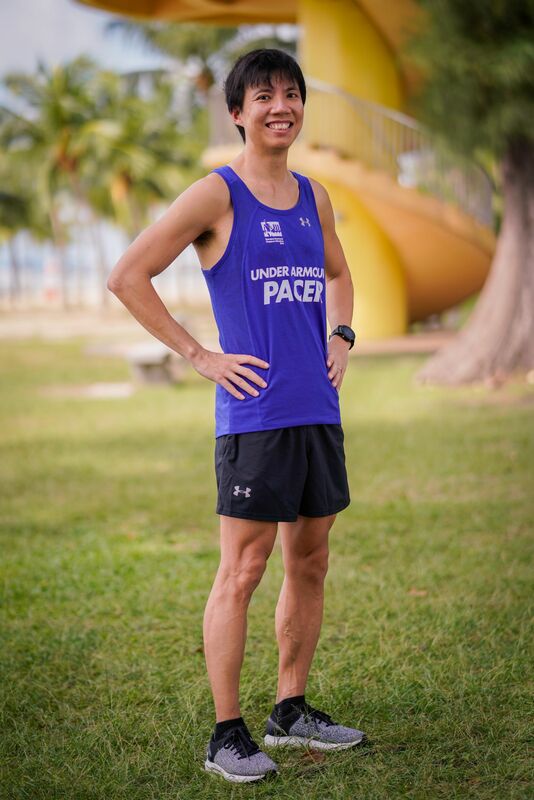 Building on my pacer engagement with the 2:30 group for the NTUC EcoRun, I cannot think of a better company than the good folks at the Running Department to help me achieve my goal. 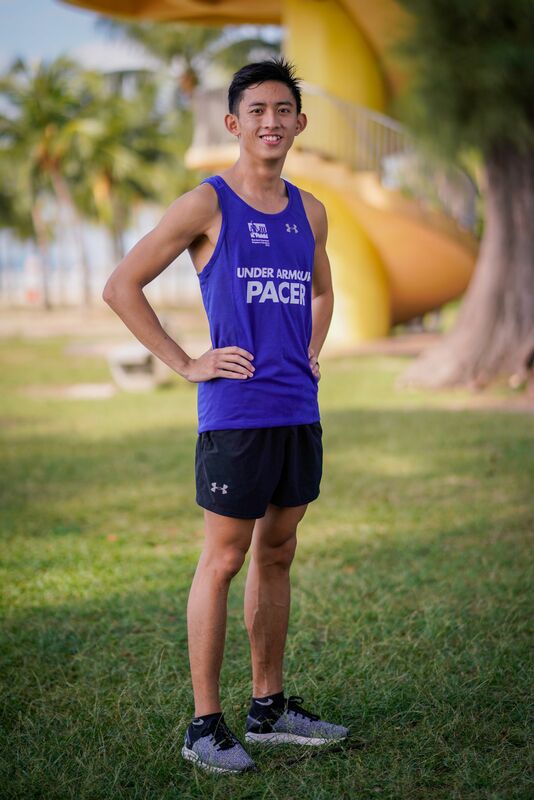 SCMS was also my premiere race that started me on my running journey back in 2010 with I signed up for the 10km category, so I would really love to contribute back to the committee and help others achieve their running goals in this iconic race. 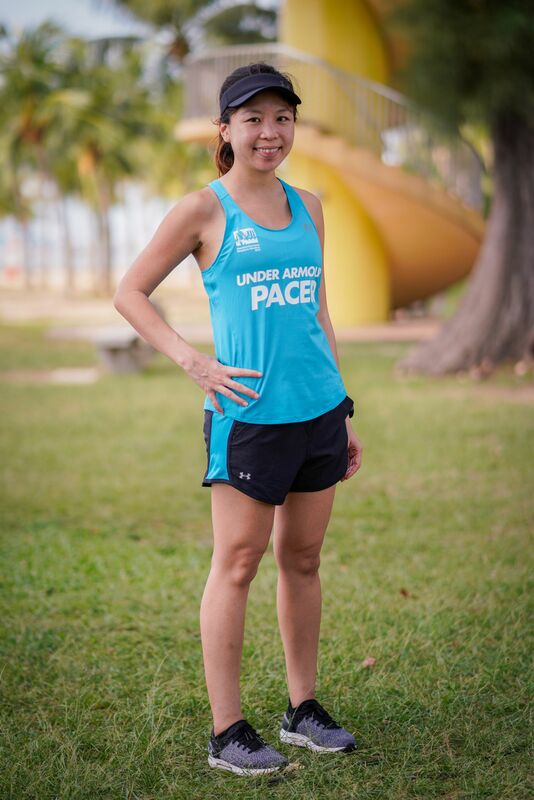 I started running back in 2009 and signed up for my first race in SCMS for the 10km category in 2010. Since then, I have built up to racing marathons in different countries and currently participating in full distance Ironman races. Running to me is something that's not easily enjoyed, yet the experience of having done a run always beat twiddling away on the couch. The discipline that training for a race entails to your after-work activities, the countless hours you spend with your thoughts, the impact you have in your community as someone who runs, someone who takes cares of themselves, the places one can travel to and experience just because there happens to be a race at the location, the companionship that is formed among fellow runners whom often become close friends, these are the things that keeps me going. One run after another, one race to the next. That race isn't going to train for itself. Get up and go!! I enjoy helping others find their own passion with running and in pacing, I found a favourite: Encouraging and motivating others with positive reinforcement and endless energy! Through pacing, I hope to show every participant that they can succeed and that their hard work will eventually pay off. 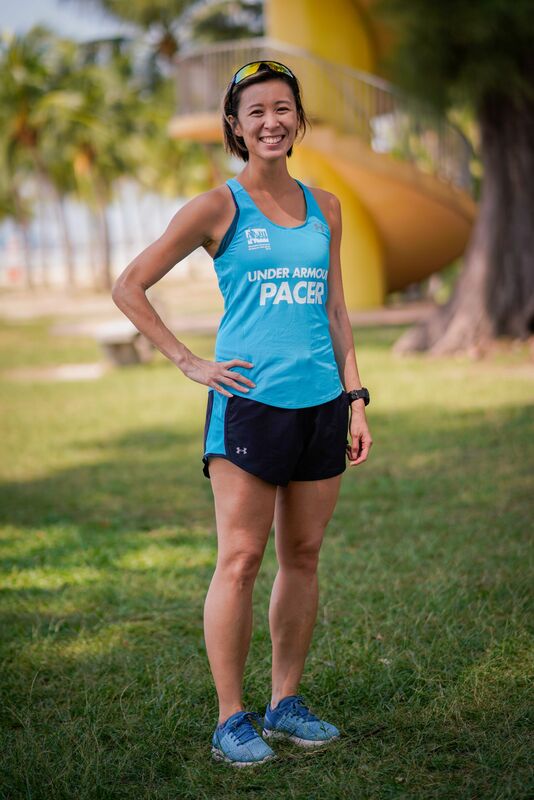 Pacing is also my way of giving back to the running community that has always been so generous to me. I took the leap of faith and joined my first full marathon in 2008. It was a painful experience without any training but I’ve never looked back since. Running has not only improved my health but has also taught me to be stronger and to always push myself to the limits. After taking a 2 year break from pacing SCSM, I thought it was about time to have a go at it again. Knowing how hard it is to pace your own race, I hope to help runners by taking that load off them and motivate them as we head towards the finish line together. SCSM is the biggest running event in Singapore and for many the highlight of the year. In my first race, my goal was to finish SCSM half-marathon in less than two hours. Missed my target time by 19min. I missed it on the next two attempts as well, yet, have never missed it since. Two hours is a big mark for many and I especially want to help and inspire the runners who have never made it before. You absolutely can make it- prepare well, race smart and keep an eye for us! We'll be there! The long, slow runs are my favourite. You start out thinking about this and that like we all do but then gradually ease into the run without counting kilometers or checking pace. Your mind slowly tunes out of the business of everyday life while you just keep going further and further. It's a zen-like moment where your body is working yet somehow it's effortless. By the time the run is over, your mind is at peace and all the worries of everyday life seem like a distant past. The long, slow run are a magic really- they keep you fit, they keep you sane, they keep you happy. Any road followed precisely to its end, leads precisely nowhere. 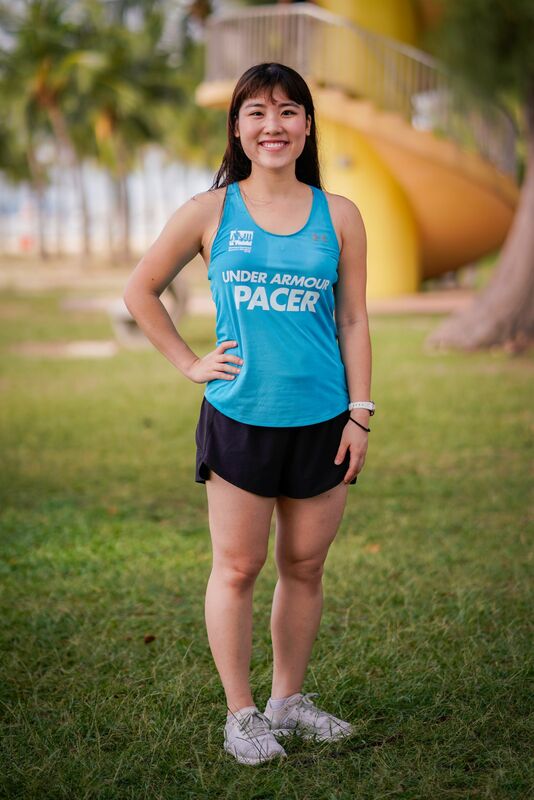 During my first Standard Chartered full marathon last year, I was thankful for the help and support offered by the 5hr and 5hr30min pacers. I couldn’t have completed the race within my targeted time if not for them. From then on I set my mind to help other runners who are in my position last year, clueless about races and marathons. 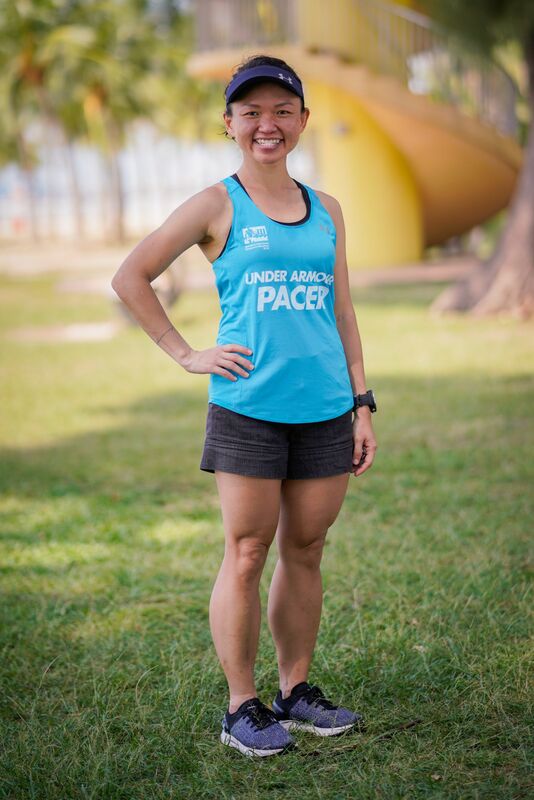 I find pacing a way to introduce fellow runners to the running community, and encourage others in the community to continue leading a healthy lifestyle! Hi runners! I’m Brandon, I only started long distance running last year. Since then I have completed 2 full marathons and a few halfs, and I would like to help bring you guys under 2 hours for this year’s SCSM half marathon! Looking forward to hear your running stories during the run! Never give up something you really want. It’s difficult to wait, but worse to regret. SCSM is the first race I signed up for back in 2015 and I benefited from running with the pacers back then. 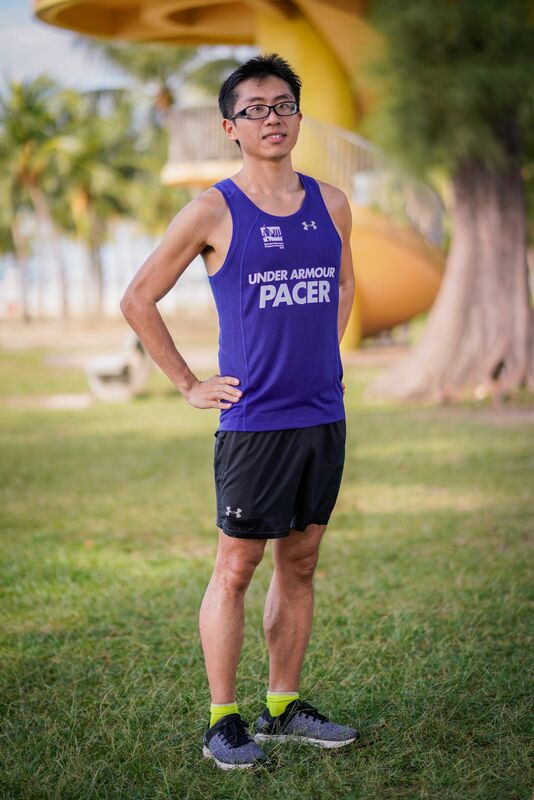 I want to give back by being a pacer and helping other runners. I live to eat and have a sweet tooth (cakes, ice cream and bubble tea) hence I gain weight easily. So I choose running as a form of cardio exercise to lose and maintain weight. During my free time, I also go to the gym for classes. My other hobbies include playing computer games, board games and travelling. During my first half-marathon, my colleague, who was more experienced, ran with me from start to finish. His pacing allowed me to complete my first half-marathon in my target time of 2 hours 15 minutes. I will like to pay it forward and help others achieve this particular goal as well! I joined a 5km corporate run as a team bonding activity with friends at work in 2011 and I’ve been running every since. I believe that running is an accessible, fun and rewarding activity that anyone can start to enjoy, even if one isn’t particularly athletic. 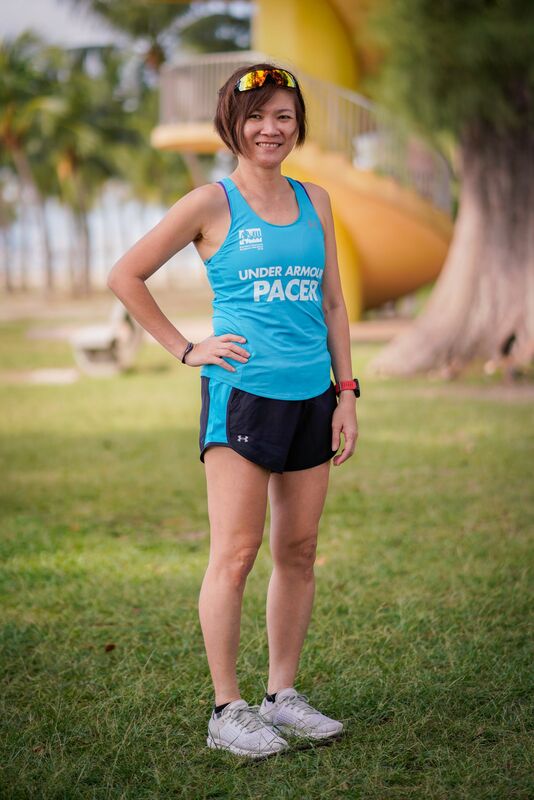 Pacing gives me the opportunity to encourage and inspire others to start and continue running. Who cares what others think? Running is personal satisfaction. This will be my 5th year pacing for SCSM and my motivation remains the same: The joy of helping runners achieve their target timing! 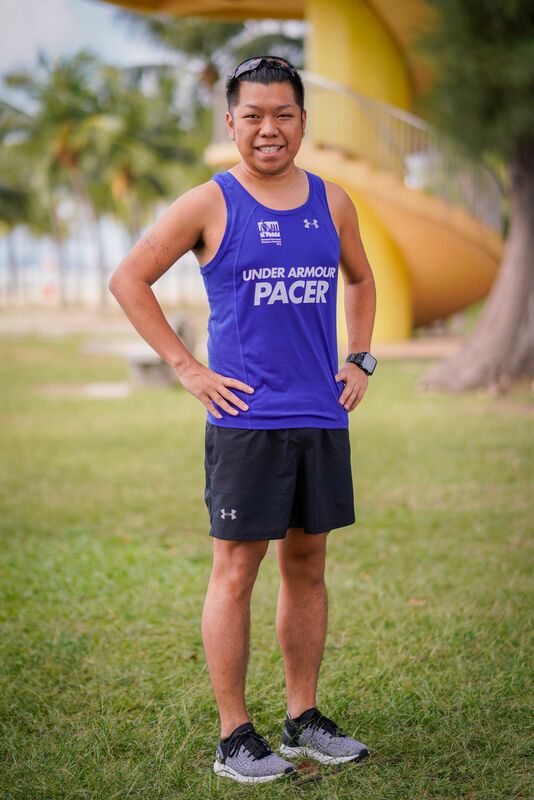 Edmond has been running various races from 10km to 100km for 8 years, and pacing SCSM for 5 years. 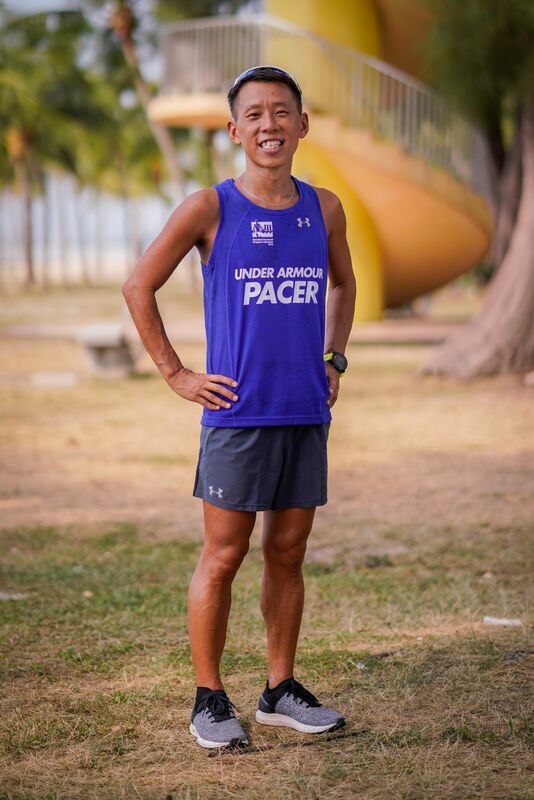 He enjoys pacing as a form of giving back to the running community, and to keep fit too! I would like to try out for a brand new experience and I would like to run with some balloons on my back! I discovered running and fitness during my late 20s and have been trying to keep it up ever since. Running is a relaxing journey for me so far and i hope to spread this with fellow running comrades! Hop along the 2:30 bus for an amazing 150-minute journey! 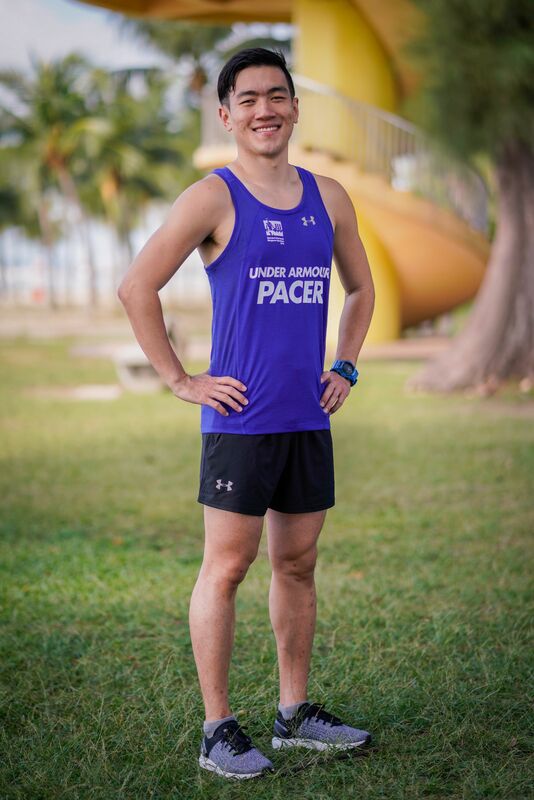 This will be my 8th year contributing and doing my part as a pacer in Singapore's biggest marathon event. 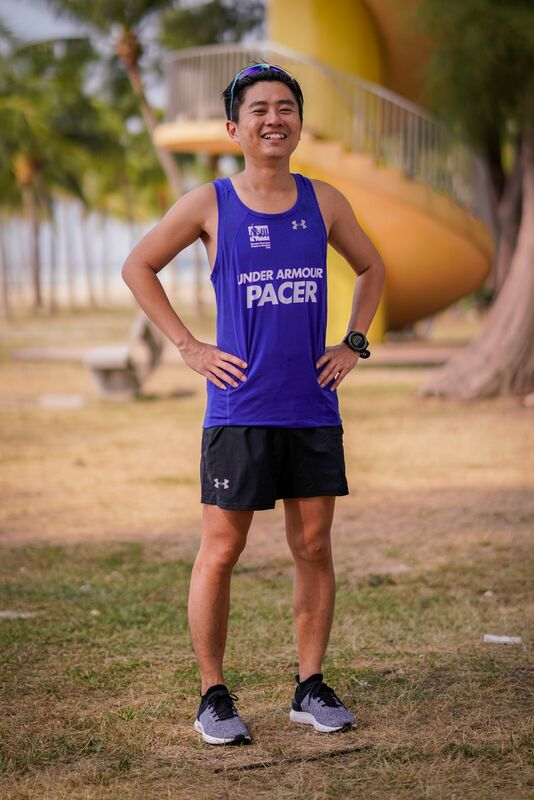 I hope to be able to help fellow runners in the community cross the finishing line and achieve their targeted timing. To motivate and push other runners to achieve their goals for the race. You never try, you never know! Just do it! Running with a group is incredibly motivating. 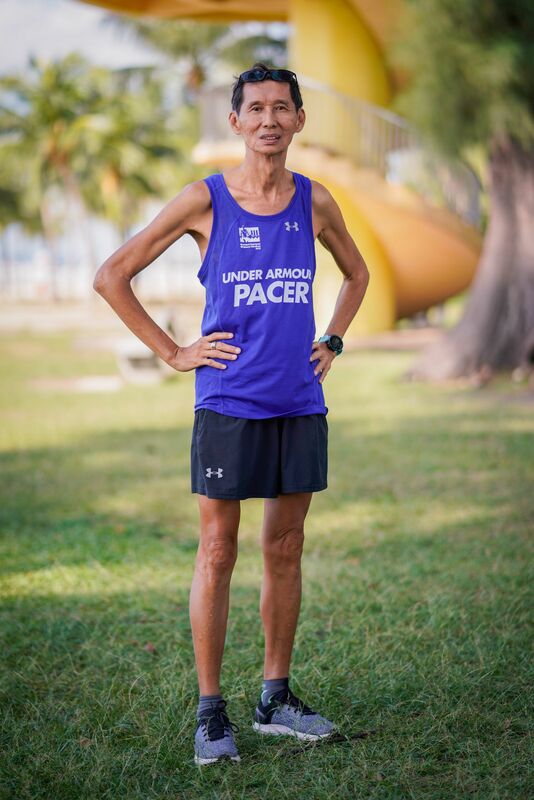 I wish to inspire and give a little extra push to runners need, keep them on the right pace and accomplish every run as Every run has a purpose. I started running in year 2014 and I was only able to run distance from the beginning. I train myself and slowly increasing running distance. TODAY, I am proud to say I am a Runner and accomplished full marathons. Running trains me to keep going always and also for physical fitness. I love the scenery, the company and challenge! Hi, I love to run, practise yoga and learn about anything and everything. Just got certified as a yoga instructor recently. Let me know if you are keen to be a yogi guinea pig. Where your treasure lies, there you heart will be also. This is one of my enjoyment and opportunity to know more people. In a long run, it is always a time I can enjoy (though at times painful physically) to be inspired, by people or God. This process of training and preparing for marathon races in the past have taught me lots of life lessons which have been helpful in strengthening certain core values of my life. Life is never a sprint, it’s a Marathon. Pace well and you will finish well! Helping fellow runners to achieve their targeted timing for the race. The running journey started because I wanted to lose excess weight that had stuck with me since young. Caught the running bug since as I found it a form of stress reliever as well as a good way to keep the legs toned! Enjoyed runcations (where schedule permits) as I can kill two birds with one stone - running a race while exploring new places/ sightseeing! Keep on keeping on, the finish line is not too far ahead! 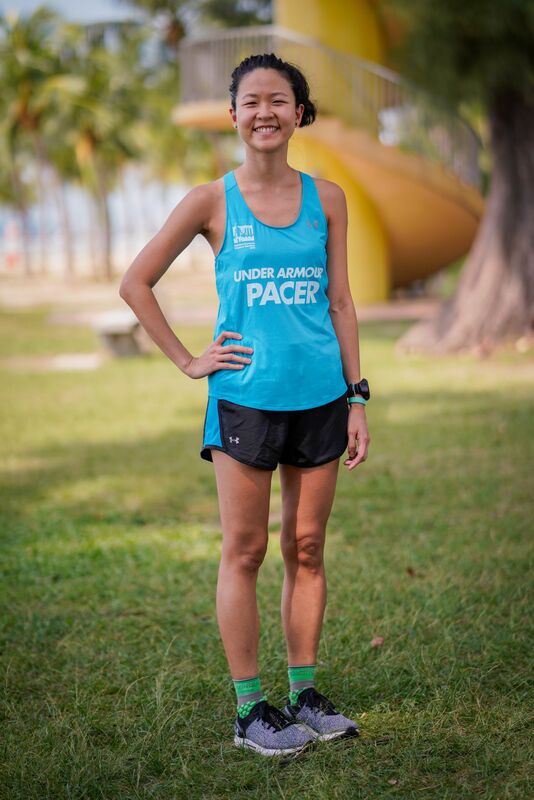 From a novice runner till now, I've gained so much knowledge & achieved what I thought is impossible, it's all because of pacer guidance & encouragement. As such, I would like to pay it forward by giving back to the running community. My running journey only started ways after completion of my NS cycle. In fact, I have not run so much even during my NS period. In 2015, I started to participate in fun race for 5km - 10km on a leisurely basis. Gradually I upgrade to 18.45km ST Run which is my first longest race. I also got to know a group of running buddy as well as RD which we train together. Having conquered quite a number of half marathon, I finally had the courage to participate in SCSM full marathon in 2016 & 2017 & manage to complete them in one piece. Friends & pacer play an important part in my running journey. Therefore I would like to inspire fellow runner that everyone can do it as long as one is determined enough & success will follow through. One step at a time to finishing line! After benefiting from the runs with RD for a few years, I would like to contribute back to the running community by encouraging and motivating other runners to finish their race. I have been running for many years and have completed many HM and FM since 2010. 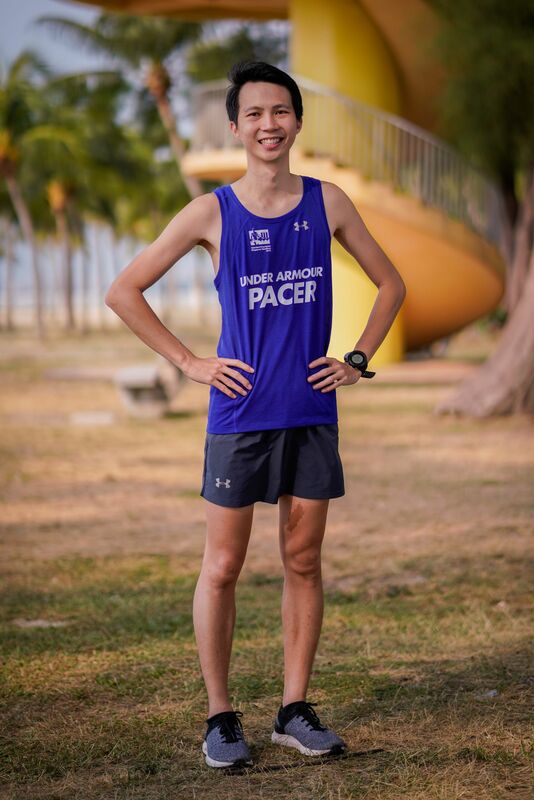 I joined RD in 2014 and during the trainings, I’m able to gain many valuable running tips which allow me to achieve my personal goals in the races. 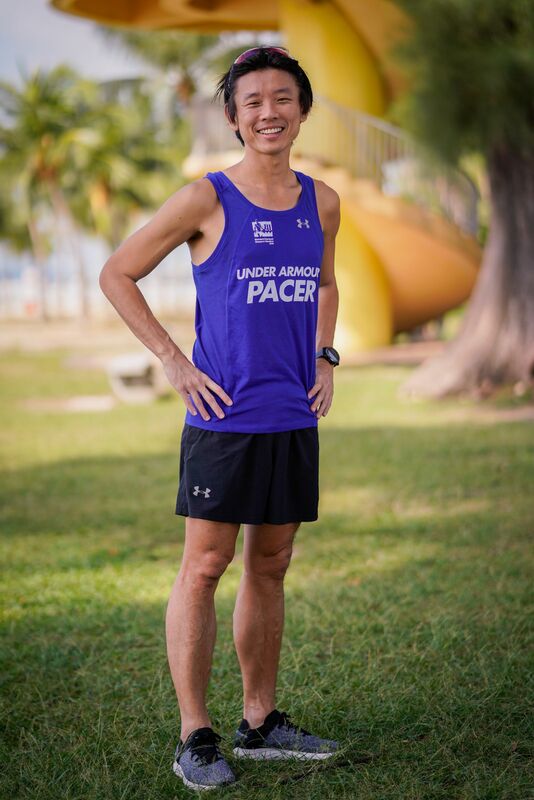 I hope to inspire runners to achieve their running goals. Running is not always about winning; it’s about finishing the race. I have been working in the IT industry for many years and hardly thought of doing any exercise although I used to be physically active in my school days. I started to pick up outdoor activities such as running and biking in 2015 and I am thoroughly enjoying them now. Go outdoors and enjoy the sun and fresh air!